HIPAA, HITECH, Omnibus, PCI regulations - these are words that can strike fear into the heart of any Behavioral Health organization. They don't need to as we found after speaking with our guest today on Mental Health News Radio. 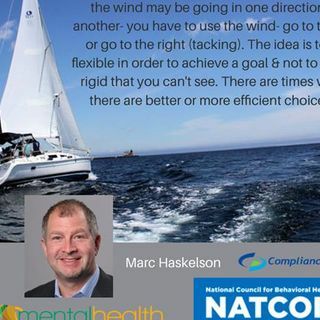 We sat down with Marc Haskelson, the President and CEO of Compliancy Group, to find out how easy compliance can be. What is the difference between HIPAA and Meaningful Use (MU) ? Do I have to attest for Meaningful Use? What If I ... Más informaciones don’t attest? Who is considered a Vendor or a Business Associate? I am now accepting Medicare, does that put me at a higher risk for an audit just like everyone else? If I completed a Risk Assessment last year, do I have to do it again this year? Is there an insurance policy available that helps an entity with HIPAA fines? What triggers an audit? How do they know that they should audit you? Has your software solution ever been involved where an actual audit was being done by either CMS or OCR? If an EHR vendor or billing agency, as an example, are not following HIPAA compliance where can one go to report these actions?